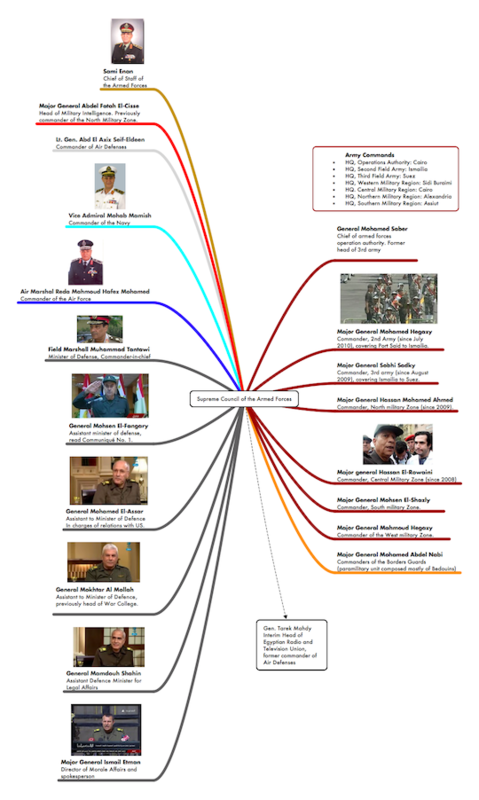 Here's another diagram, composed from public sources (this Zeinobia post proved particularly useful), of the Supreme Council of the Armed Forces currently ruling Egypt. Again, any additional info would be appreciated. Here's the large PDF version.